As an experienced athletic trainer, fitness expert and competitive tennis player, Suzanna McGee possesses the tremendous ability to inspire you with her teaching and writings to be the best that you can be. Her passion for writing and educating people has resulted in a book on tennis fitness, which is currently being published. Any athlete striving for improvement needs to train his hand-eye coordination as much as he trains his body. Even nonathletes will benefit from practicing hand-eye coordination because it will improve the quality of life in the daily activities, such as fast reactions while driving car or playing with children. You learned most of your current hand-eye coordination at young age, but there is always room for improvement at any age. By performing hand-eye exercises regularly, you can improve your hand-eye coordination. Throw a ball to your friend repeatedly and catch it. To increase the difficulty, throw it with different spins, speeds and trajectories. For another level of difficulty, write numbers on the ball, and before you catch it, call out the number that you see. Use a racket and matching ball of your choice, such as table tennis, racquetball or tennis. Hold the racket with your palm up and place a ball on the strings. Bounce the ball off the strings repeatedly without letting it drop to the ground. Repeat the same exercise holding the racket with your palm down. To add difficulty, alternate forehand and backhand bounces. Another variant of this exercise is to let the ball bounce off the racket to the ground repeatedly, using each grip. 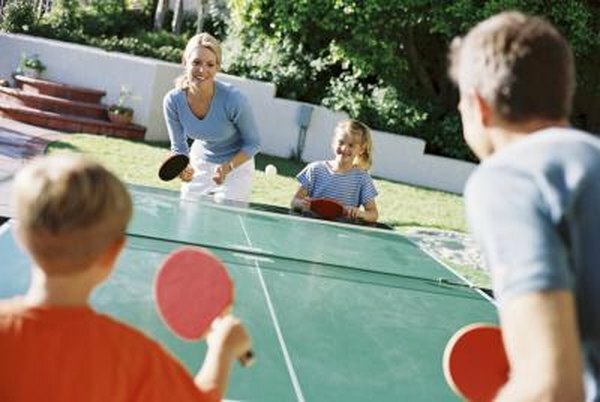 Table tennis, tennis, squash or racquetball will improve your hand-eye coordination because you have to react to the other person’s movement and what they do with the ball. Track the ball with your eyes and hands and react accordingly. The reaction ball is a rubber ball designed to create unpredictable bounces that force you to make split decisions in order to catch the ball. The random bounce trains your hand-eye coordination and reaction time. Throw the ball against any hard surface or work with a partner. Many computer and video games challenge your reactions and hand-eye coordination by forcing you to follow the on-screen events and respond by clicking the mouse with your hands. Regular video-game practice speeds up your reaction time and reflexes. Grab a hammer and place a tennis ball on top of its flat side. Bounce the ball repeatedly off the hammer without letting it drop to the ground. To increase the difficulty, use a golf ball and a smaller hammer. You can also walk while doing this exercise. Practice with both hands to develop both sides of your body evenly. This is an advanced hand-eye coordination exercise that can take several weeks to master. It will also strengthen your forearms and grip, which is beneficial for the majority of sports and the daily activities. Use two to four balls of medium size, such as tennis or lacrosse balls. Start with two balls that you juggle from hand to hand. Add another ball to increase the difficulty. Juggling takes a lot of practice, but it will greatly develop your hand-eye coordination and focus.